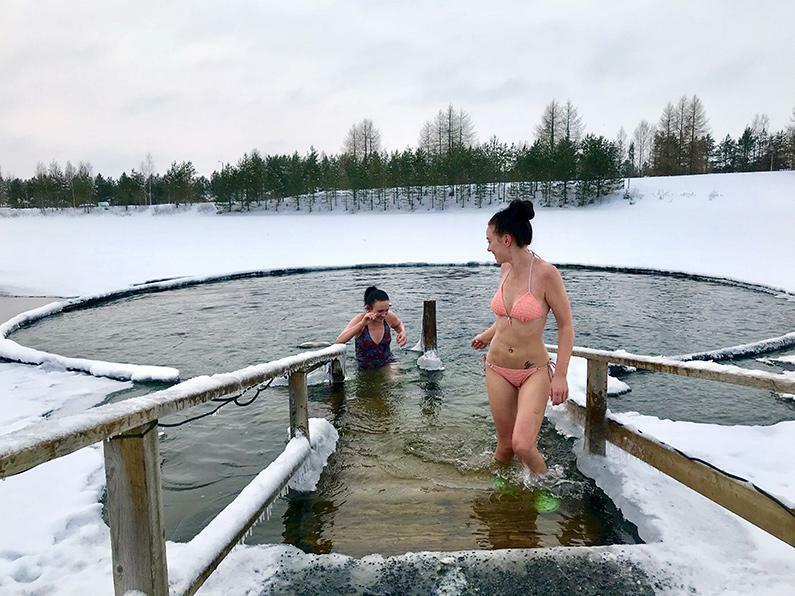 Once the temperature starts to drop, many Finns start to look forward to the lakes freezing over and heavy snow settling on the hills and the forests. 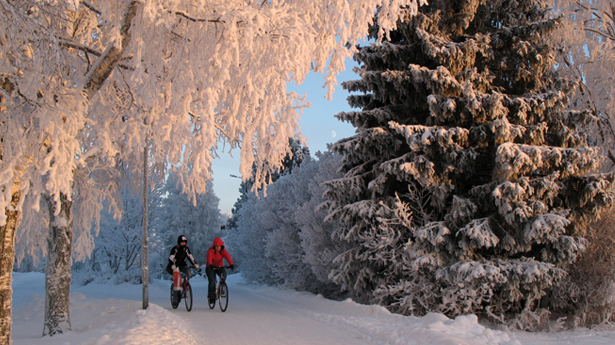 Then, thoughts turn towards outdoor winter sports and the various modes of sliding and gliding across the snow and ice. This winter tips article will give you some ideas for activities on both snow and ice plus places to warm from the cold. 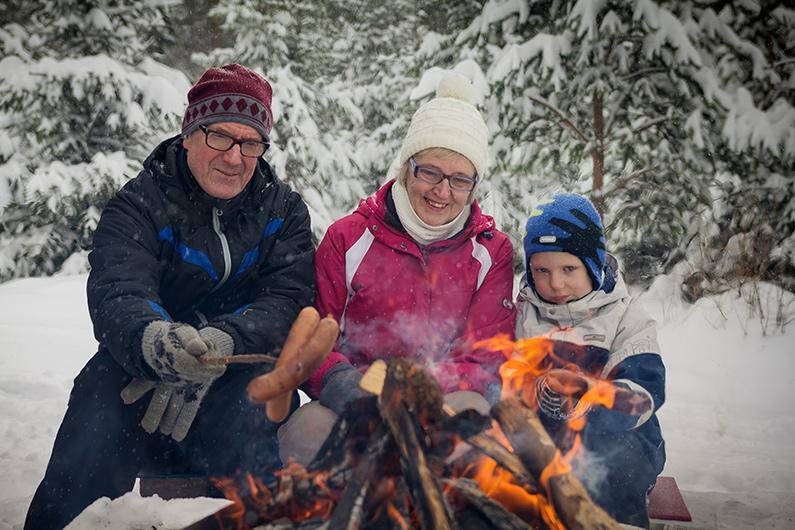 If you think snow and ice are simply a hazard to be avoided, don’t worry there are some (safer) indoor activities where you can experience another side of Finnish culture. Of course, most of you will be familiar with the idea of ice skating, and the Atria Halli area is a good place for skating on well-maintained ice, but I thought I’d suggest a few alternative ways to enjoys the ice. Skating in the Woods. 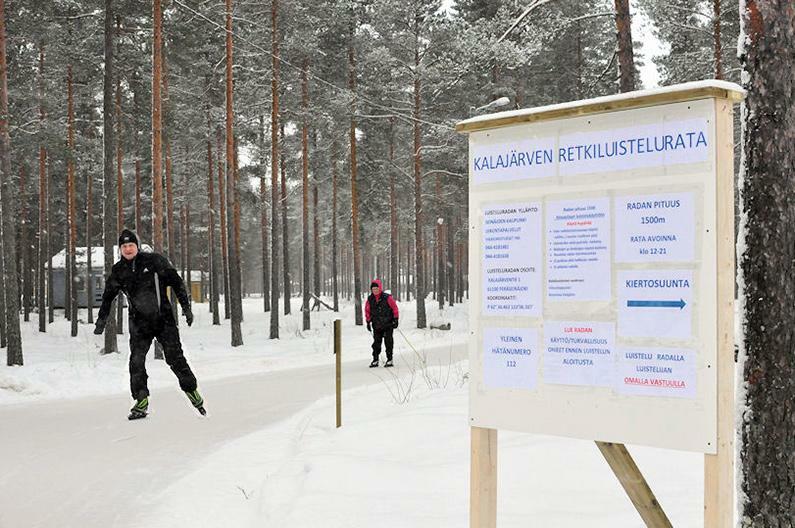 In Peräseinäjoki, one of the kuntorata near Ravintola Kalajärvi is converted into an ice skating track, that takes you on a winding route through the woods alongside lake Kalajärvi. Ideal for families or experienced skaters. 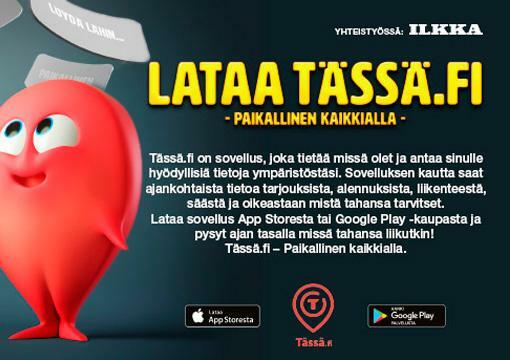 This video “Retkiluistelurata – Kalajärvi” takes you around the track. Driving a car on the frozen lake. I must confess I haven’t taken my car out on the ice but, I’ve seen them when I’ve been walking. I would urge caution, speak to a local who will understand their lake, for example, some lakes will have an official ‘ice bridge’ when the temperature allows, whereas others may never freeze enough to be safe. Ice fishing. A much more sedate pastime. You will need a licence and some specialist equipment for drilling through the ice and then you’re ready. Again, I would suggest speaking to a local who knows their area (and probably has some gear you can borrow) hopefully you can repay them by catching something for dinner. Ice-hole swimming. OK, so this is not technically ON the ice, rather THROUGH it and into the water, however, after all this excitement there is only one way to relax at the end of the day. A visit to my friends at Lakeuden Avantouimarit, to enjoy the large, communal sauna with regular dips in the icy water. Healthy, relaxing and enjoyable, honestly! Cross country skiing. Or as my Finnish friends call it, Skiing! I previously talked about walking or running round Seinäjoki’s kuntoradat. In the winter, these are the domain of the skiiers with tracks ploughed regularly. Although dogs & walkers are discouraged, anyone is welcome to ski there and these tracks are numerous and are located within easy access of most residential areas. Downhill Skiing at Joupiska. 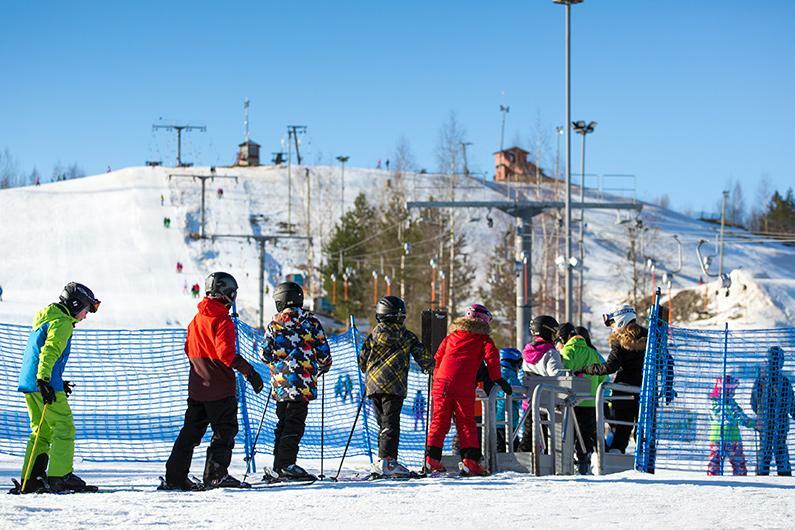 It might not be the largest ski slope in Finland, by the hill at Joupiska is conveniently located just 2.5km from Seinäjoki town centre.With four illuminated runs of approx 500 metres, you can ski in the depths of the dark winter (as long as there’s snow on the ground!) All necessary equipment can be hired where you buy your ski-pass. Sledging at Joupiska. If you don’t have the confidence, or coordination, for skiing you can also go sledging at Joupiska. There is no charge to go sledging around the back of the skiing hill. You may be able to borrow a sledge from the renatö shop, or simply take your own sledge with you. My tip here, is don’t park at the bottom of the ski hill, drive round the side and you can park much closer to the sledging area. Snow-shoe walking. 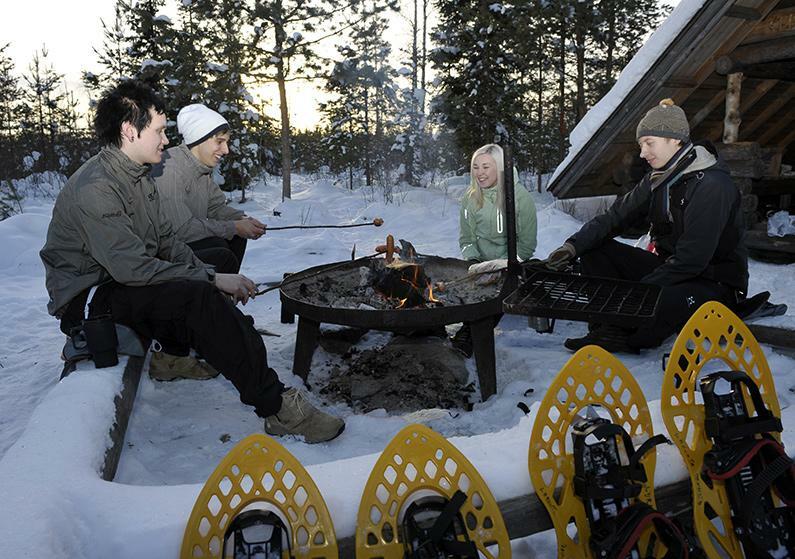 It may look like you are walking with tennis rackets on your feet, but snow shoe walking allows you to cross deep snow, forests and lakes safely. Take a drive from Seinäjoki to the charming peninsula of Honkiniemi, in Ähtäri. You can hire equipment for the bargain price of 6€ for two hours. Nordic walking. Surely the simplest of winter activities. All you need are a pair of study walking boots and Nordic walking poles (from 25€ in Sports shops). Some of the kuntoradat have areas for walkers, or you can go off rounds the streets of town or country lanes. I tried it for the first time this year, and now I really appreciate how the poles transform a walk into a workout. After all of those activities, you will probably need somewhere to warm-up afterwards. My Summer Tips #2 mentioned some lunch places and coffee shops but here are some more suggestions, some located near the activities and others in the town centre. 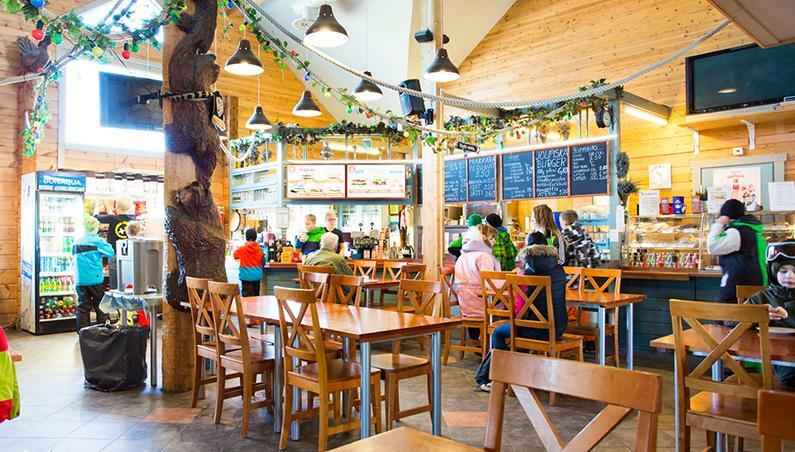 Ravintola Kalajärvi – Situated at the heart of the activities at Lake Kalajärvi, offers burgers, pizza and grill food, along with a licensed bar. Open Fri & Sat evenings in the winter. Cafe Joupiska – At the bottom of the bottom of the hill, simply step out of your skis and into the restaurant. Offer lunch buffet, pizza, Rolls burgers and a licensed bar. Open every day and most evenings. 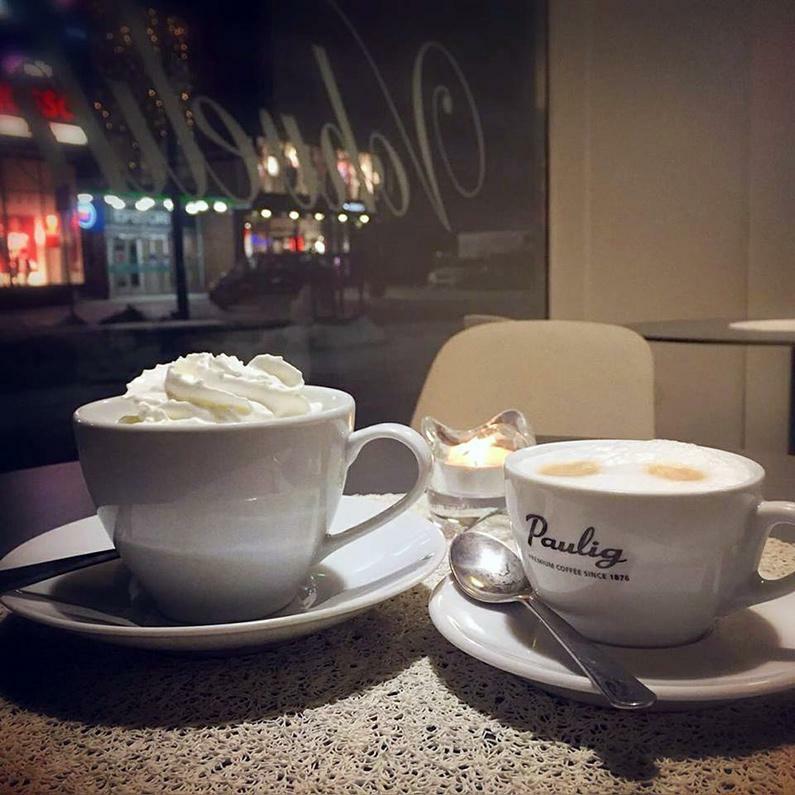 Vohvelihetki – Located in the town centre, Vohvelihetki offers a lunch buffet but, if you are feeling adventurous, why not try one of their waffles? They have a range of sweet and savoury toppings, served on top of their freshly-made waffles. Makes a nice change for a warming snack. Open Mon-Sat 10:30-19:00. Cafe Kismus – in the town centre near BioRex Cinema, Cafe Kismus has a simple lunch menu of salad and jacket potatoes. Kismus is aimed at kids over 8 upto teenagers, giving them a warm place to hang-out with billiards, table football, PS4 console and inexpensive snacks. Opening hours vary, check the link above. If sliding, dragging and hiking yourself across the frozen landscape is really not for you, maybe you’d rather take in some culture, preferably indoors. In that case, I have a few suggestions for art galleries and museum exhibitions, that might just take your fancy. Varikkogalleria – located a few minutes walk from the town centre, Varikkogalleria is a gallery and artists’ workspace with six studios for artists and a gallery for all types of artists and an ever-changing exhibition space. So whenever you visit, you’ll probably find something new and interesting. Opening hours: Wed-Sun. Price: Free. 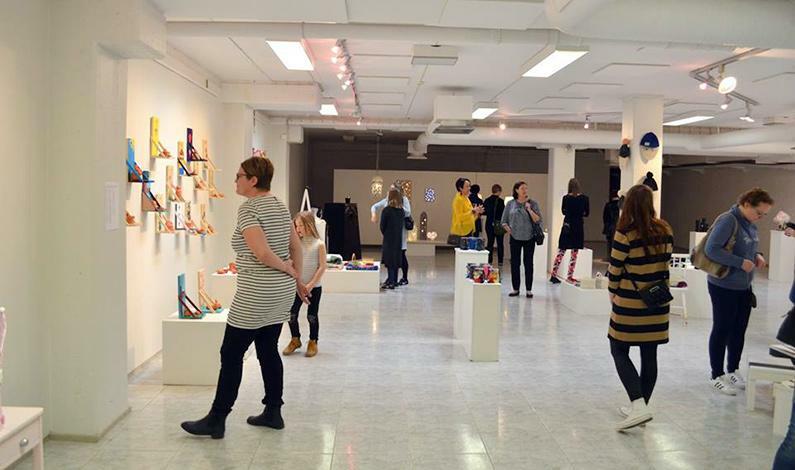 Seinäjoki Arts Centre (Taidehalli) – About 10 minutes walk from Varikkogalleria you will find Taidehalli, another space with regularly refreshed exhibitions of contemporary art and displays of visual arts. Opening hours: Wed-Sun. Price: 3€ for adults. 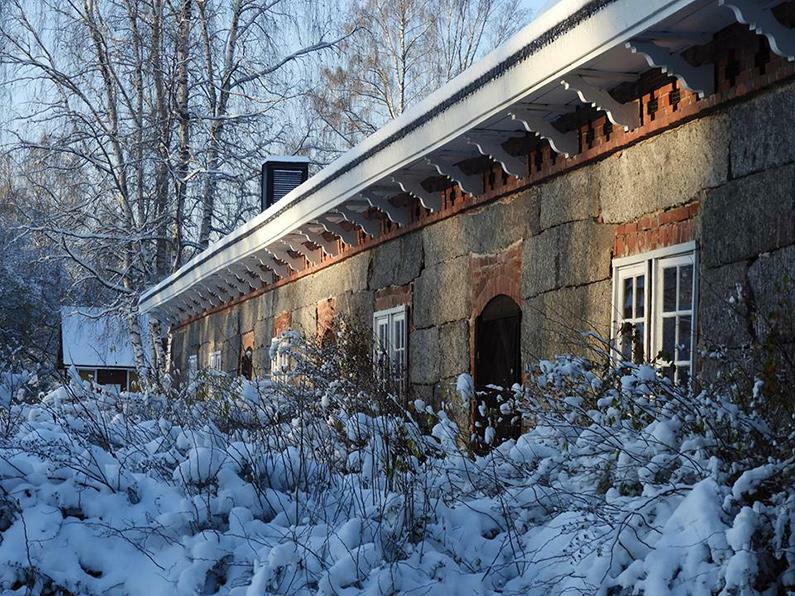 Provincial Museum of South Ostrobothnia (Maakuntamuseo), Törnävä – New for early 2018, Maakuntamuseo has a new exhibition of theatrical clothing over the past 200 years, Unelmien kuteita (Dream Clothes), which includes some exhibits used in productions at Seinäjoen Teatteri. Opening hours: Wed-Fri & Sun. Seinäjoki Theatre (Seinäjoen kaupunginteatteri) – as part of the Alvar Aalto center, the theatre is itself a piece of art and, in the foyer (near the restaurant) you can view a collection of Aalto’s famous bent wood reliefs. Restaurant opening hours: Mon-Fri 8–14:00. Seinäjoki’s Libraries – not content with one library, Seinäjoki has two joined by a tunnel and both of them is, in their own right, a work of art. The original City Library, designed by modernist Alvar Aalto, opened in 1965, while the newer Apila Library opened in 2012. Walking around both buildings feels like you are inside a piece of art and, when you’ve finished looking for books, you can refresh yourself in the coffee shop in Apila.